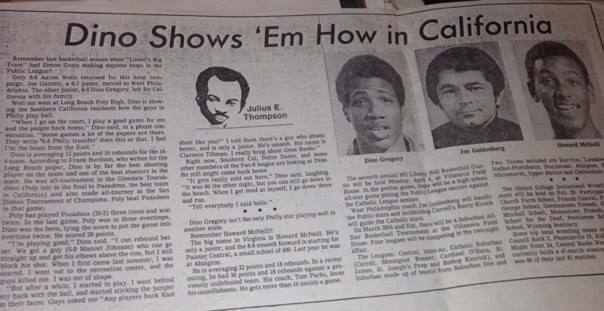 Julius Thompson Philadelphia Bulletin Sports Column! Ghost of Atlanta Receives Amazon.Com Five-Star Book Review! A Different Kind of Father’s Day Story! Over the years people have asked me why I coach? Tarone, you and the Philadelphia Blazers validate my decision. I wouldn’t trade the experiences or the close relationships for all the riches in the world. Sometimes, on Father’s days, I wondered what it would have felt like, the emotions flowing through my being, to have had biological children. After a few years, I realized that God put me on this earth for different purposes and for different reasons. I’ve had many basketball sons and you, Tarone, exemplify what I would want my biological son to grow into…a man of character who learns values and appreciates the people in his life. Thank you for the wonderful Facebook comments! HAPPY BELATED FATHERS DAY COACH, I KNOW I’M A LITTLE LATE AND YOU DON’T HAVE ANY BIOLOGICAL KIDS,BUT YOU HELPED RAISE MANY. YOU SHOWED US NOT ONLY ABOUT BASKETBALL ,BUT LIFE AND HOW TO CONDUCT OURSELVES AS YOUNG MEN AND THAT THERE WAS A BIG WORLD OUTSIDE OF PHILADELPHIA AND FOR THAT I WILL ALWAYS BE GREATFUL. I WISH YOU MUCH SUCCESS AND HAPPYNESS IN YOUR NEW CARREER AS AN AUTHOR.MUCH LOVE AND RESPECT TO YOU ALWAYS!!! 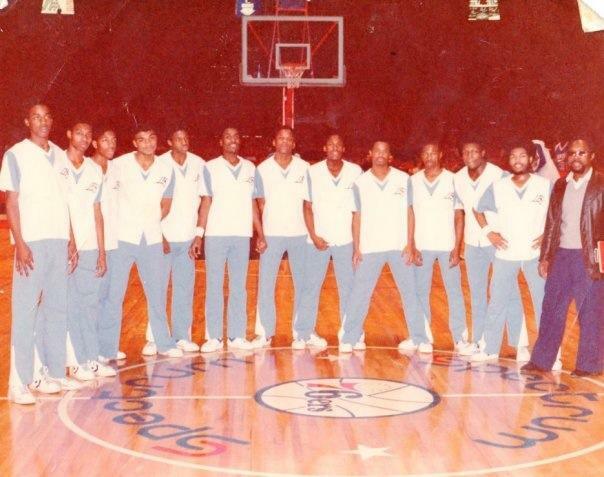 As an author when I wrote Philly Style and Philly Profile, a novel centered on my experiences coaching the Philadelphia Blazers in the seventies; it was dedicated to all my Blazers. I wrote to remember the players and to put into words the feelings, emotions and experiences of seeing a group of young boys grow into productive MEN. Now, with God’s Blessings, I’m still physically fit and I’m still teaching and coaching. Please pray for me as I’m in line to become a head varsity high school basketball coach in Dekalb County (Georgia). The decision is being made right now. If it happens, I will be able to still “Coach” young men. Again, thank you for the wonderful comments. Social Marketing Success and Counting!!! A Big Thank You To Everybody! I was working my “Rule of Five” today on the internet. I learned this technique from marketing guru John Kremer. It just means you do five things everyday to market your novels. I work the social media (Facebook, Twitter, Linkedin, etc) as part of my everyday “Rule of Five” routine. Well, I decided to check the numbers to see if things were working in my favor or was I just wasting my time? I don’t have a clue, but it means that I’m connecting with people on some level and not getting lost in Cyberspace. Now, if I can just turn those numbers into book sales (smile). Join the party and spread the word at Facebook, Twitter and Linkedin!! Ghost of Atlanta: Great Review!!! Please Respond to a quote from A Brownstone in Brooklyn! I was asked to choose a quote from my first novel, A Brownstone in Brooklyn, to reflect on the unpredictable nature of life. How things are never the same and human beings have to adjust to life’s changing events. A Brownstone in Brooklyn is about growing up in the turbulent sixties, one of the most event filled decades in Black-American history. A Brownstone in Brooklyn chronicles the life-altering events that shape the future of Andy Michael Pilgrim, a young man growing up in the turbulent sixties. Please click on this link to leave a comment! Goodbye Borders: Another casualty in the decline in paperback and hardback sales! Recently, I was driving and passed the empty Borders bookstore building at the corner of Ronald Regan Parkway and 124 in Snellville, Georgia. I slowed down, turned into the parking lot. I opened the car door and walked up to the front door. I stared inside at the empty space. There weren’t any bookshelves…just empty space. It’s been two years since the announcement came that the Borders bookstore chain seeked liquidation and closed its remaining stores. This was another attack on the brick and mortar stores where you could purchase the printed book. This was very, very sad news! This was another casualty in the long drawn-out decline of the paperback and hard cover book formats. I remember when I was marketing my first novel, A Brownstone in Brooklyn and Philly Style and Philly Profile, the venues for new authors was nil. Today, it is even harder for authors to get book event at major venues. For years I tried vainly to get book signings in bookstores to prove to the reading public that I was a legitimate author. I walked into many bookstores and got a resounding “No”! I went to the Stonecrest Mall Borders in Lithonia, Georgia without much confidence in getting a chance at a book signing. idea of a local teacher getting a chance at a book signing. He introduced me to the community relations manager and I had my first major bookstore event! I sold over fifteen copies of A Brownstone in Brooklyn on that Saturday afternoon and gave out tons of marketing material, but mainly this was my first major exposure at a major book event venue. 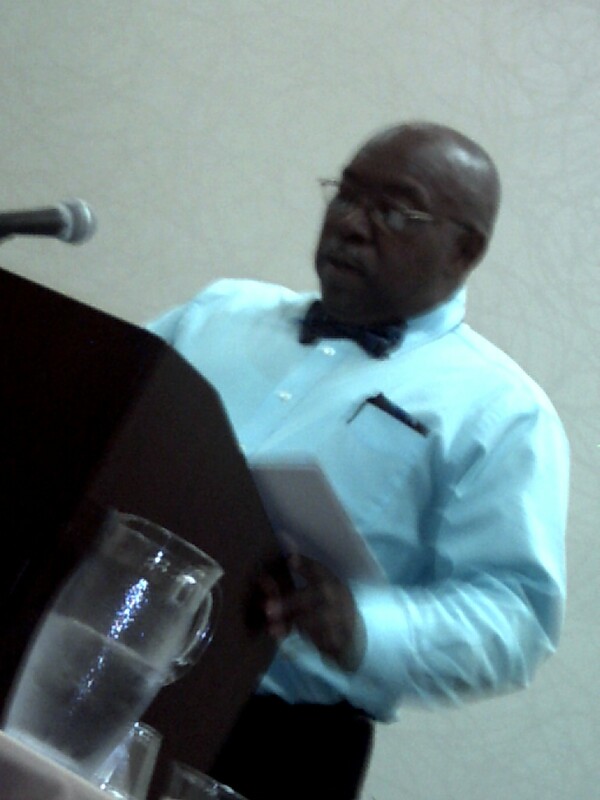 That was a signature moment, in my career as an author, and lead to me getting speaking opportunities at other major chain outlets and eventually a stint as a presenter at the AJC-Decatur Book Festival, The Virginia Festival of the Book, Buffalo Book Fair, New York City Book Festival and other major book festivals. 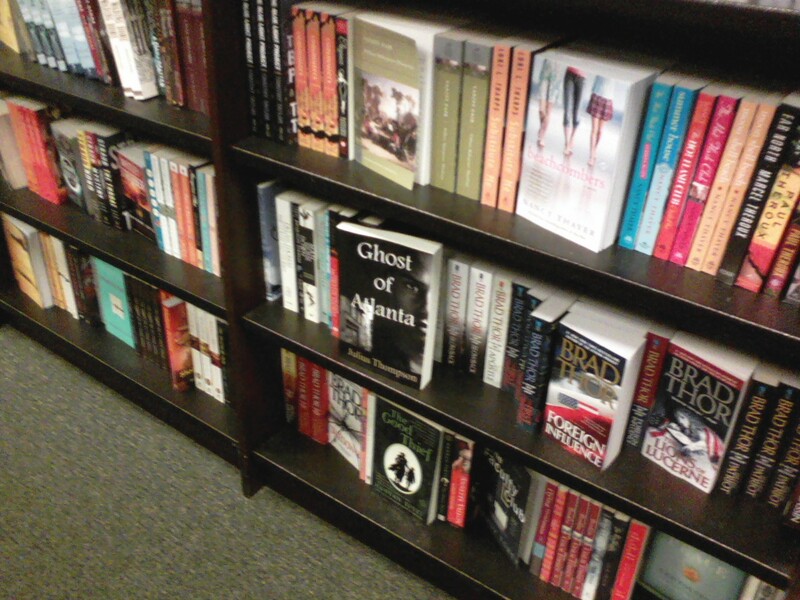 Now, I wonder where the road would have taken me if it wasn’t for a manager at a Borders store that gave a new author a chance to showcase his work. After staring into the empty space, I decided it was time leave. I walked back to my car and closed the door. I continued my journey down 124 and thinking would there be any other Brick and Mortar stores opening soon. In the meantime, Good Bye Borders you will be missed!!! !